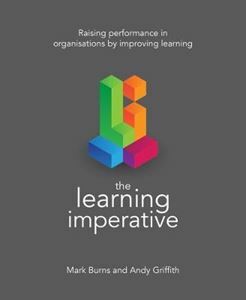 Quick overview In The Learning Imperative Mark Burns and Andy Griffith examine the key ingredients that ensure effective learning, and offer leaders step-by-step guidance on how they can achieve it in their own teams and organisations. Learning is central to the long-term success of any team - and is far too important to dismiss or to relegate to a 'nice to do' list. In The Learning Imperative, bestselling authors Burns and Griffith explore the common barriers to effective learning and present a range of practical tools and strategies to help teams bring about - and reap the benefits of - a more positive culture around training and development. The book has been split into three sections. Part I sets out why creating and maintaining a learning team needs to be a high priority, and provides an easy-to-use framework to help leaders establish their team's starting points. Part II is designed to assist leaders in fostering an open-to-learning mindset in their teams - offering tools to diagnose any closed-to-learning mindsets and supplying straightforward strategies to facilitate team members' development in becoming habitually reflective, curious and responsive to feedback. The final part of the book concerns the designing and leading of effective learning, whether it is packaged within a one-off session or a multi-session programme, and will help leaders ensure that the learning their team participates in is engaging, appropriately challenging and, most importantly, will develop their performance. Whether you are an experienced leader or just starting out in the role, this user-friendly manual will empower you to boost your team's performance and to make a powerful impact on their learning.